We understand that for many of our potential estate planning clients, particularly married individuals, it’s difficult to take time during the traditional work week to meet with an attorney. Given this, Dahlberg Law Office is now taking clients by appointment on Saturdays. 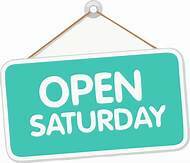 Call us today at (218) 722 5809 to make your Saturday appointment.